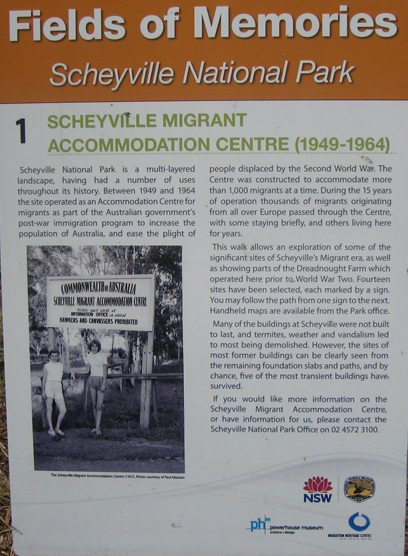 How slack am I, however with a little inspiration from Col VK5HCF, it is time to tell you about my activation of Scheyville Nation Park VKFF-444 on Saturday, 25th April, 2015. After attending the ANZAC Day service in Windsor NSW I headed out to Scheyville Nation Park which is about 10 kilometers away to the north east. 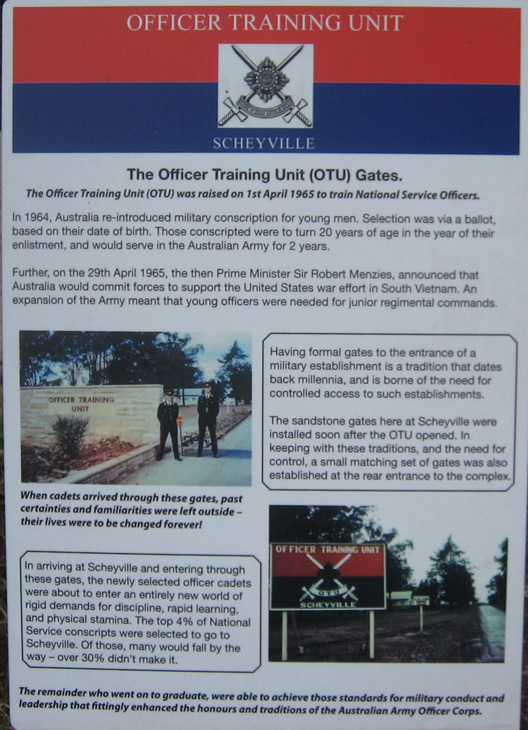 The park has been used as a Migrant Accommodation Center 1949 – 1964 and for the National Service Officer Training Unit (OTU) from 1965. 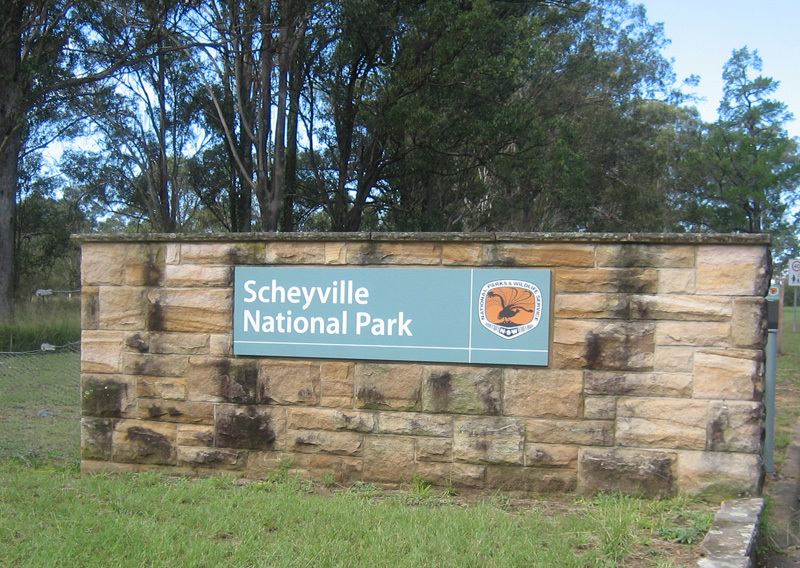 Today Scheyville Nation Park is a wonderful location at explore or just to bring a picnic lunch and enjoy the serenity. The rig used was an FT-857 and the antenna was a 40/20 linked dipole atop a 7 meter squid pole. I had plenty of power supplied by a 100 Ah 12 volt battery. All out the back of the Nissan X Tail. The band conditions were just fantastic, the location was RF quiet all making contacts most enjoyable. A total of 43 contacts were made from VK1, 2, 3, 4 & 5. These are the contacts made during the morning. 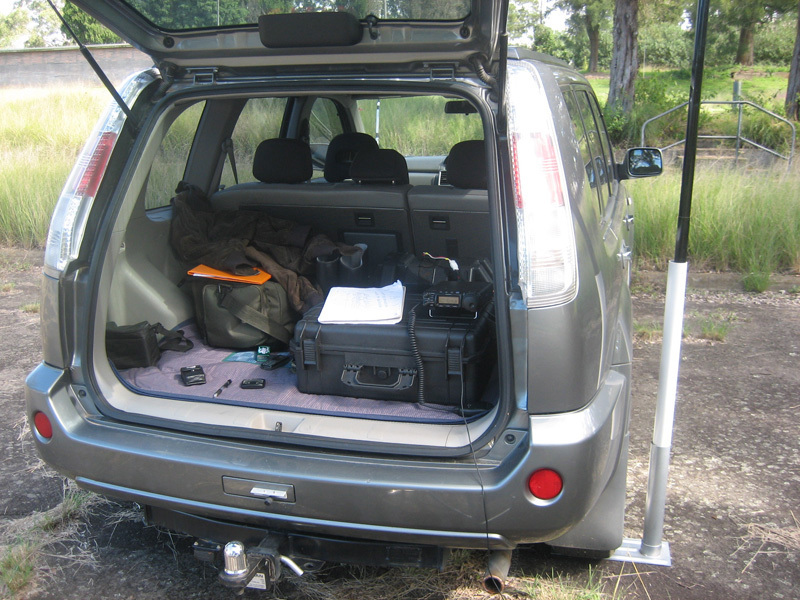 Hi Garry, good write up and thanks for the QSO and park reference. Good pictures, wondering if you made the mast support or purchased the stand locally? you did very well with this activation, gaining your 44+. It is an interesting park. I activated it on 27th December 2014. May be the day was against me: I got a miserly 10! I will probably go back there on our next trip to Sydney as well as Cattai NP to try and get a more impressive score. I enjoyed reading your April activation blog and it was great to work you on Sunday at 0404. I was at Mark Oliphant CP VKFF-782 just about three kilometres from home.